Avon: And you were right. That must be a novel experience for you. Avon and Vila teleport down to the planet Fosforon and discreetly break into a Federation base on the planet. They are there to steal an important TP Crystal which will allow Blake to decipher Federation communications. Avon enlists the aid of Tynus, an old friend of his who works on the base and owes Avon a favour. Back on board the Liberator, Blake, Jenna and Cally have found an old spaceship adrift in space and heading for the planet. Blake is about to go aboard the ship but Cally stops him, detecting a nasty presence on board the abandoned ship. Shortly afterwards, the derelict is boarded by a party from the base on Fosforon and it is taken back down to the planet. 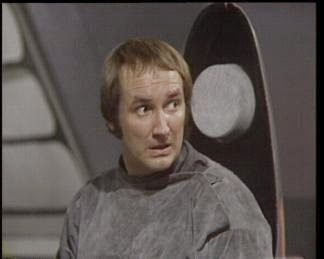 While Avon and Vila plot with to Tynus to steal the crystal, Blake teleports down to the base to assist the scientists there with the derelict space craft. He meets Dr Bellfriar, whose team have discovered a mummified body on the ship. During autopsy, the 'mummy' seems to come to life and attacks the doctor performing the autopsy before collapsing again. Shortly afterwards, members of the team that had salvaged the space craft become ill and start to die. The base is put into quarantine as the disease spreads rapidly and Blake returns to the Liberator to see if he can find more information on the disease. Meanwhile Avon and Vila use chaos caused by the disease to steal the crystal. 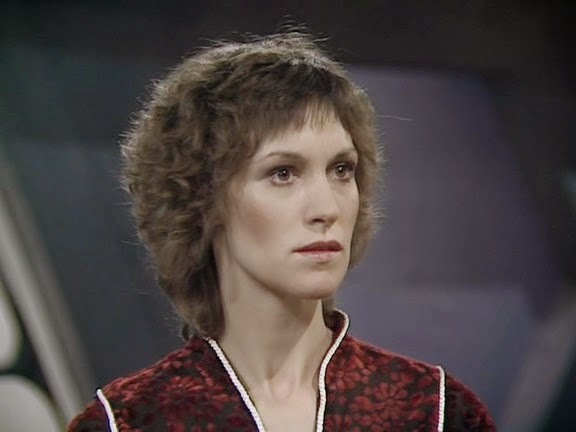 They also discover that Tynus has contacted the Federation and alerted Servalan to the presence of Avon and the others. Tynus and Avon get into a fight and Tynus is killed in the struggle. Avon and Vila return to the Liberator with the crystal. Meanwhile, Blake, communicating with Bellfriar, has discovered that the disease is a virus that was specifically designed to attack people who had travelled in space with the intention of ensuring the human race stayed confined to Earth. Some unknown alien race had found the derelict space craft and deliberately infected it before sending it back into human space. Bellfriar is on the verge of discovering a cure but, before he can tell Blake, he too succumbs to the disease and dies. Unable to to do anything further to help the people of Fosforon, Blake puts out a plague warning in order to prevent the disease from spreading. Blake: He's either being doing some soul-searching after events of the past couple of episodes or Blake is behaving somewhat out of character as he decides to aid the crew of the Federation base on Fosforon. It would seem that he doesn't view all members of the Federation as being evil and/or corrupt which - whilst a sensible viewpoint - doesn't entirely chime with Blake's actions in the past. He's attacked a number of Federation bases in the past (the communications base on Centaro in 'Seek-Locate-Destroy' for example) and has never once considered the welfare of any of the staff members there who are just doing their job. Blake also chooses to put out a plague warning on the planet despite the fact that, if he didn't, there's a chance that Servalan could land there and contact the disease. His reasoning is sound - if even one person with the disease escaped the planet then it would spread and kill billions. Given recent events, it's understandable that Blake wouldn't want more deaths on his conscience. Avon: Was previously good friends with Tynus. They pulled a bank job together some time in the past which went wrong. Avon took the blame while Tynus got away unscathed. It's not explicitly stated but it seems likely that the failed bank job was the same one that got Avon sentenced to life on Cygnus Alpha and involved with Blake in the first place - in 'Space Fall' Avon says that he was caught because "I relied on other people," which would tie in with what we learn here. 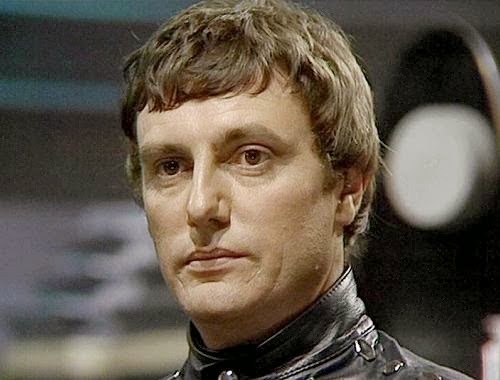 And Tynus is certainly someone not to be trusted as he betrays Avon again when he locates the Federation to his presence. Vila: Teams up with Avon to steal the TP crystal from Fosforon. He is happy to take advantage of Tynus's hospitality while on the base but doesn't seem to entirely trust. 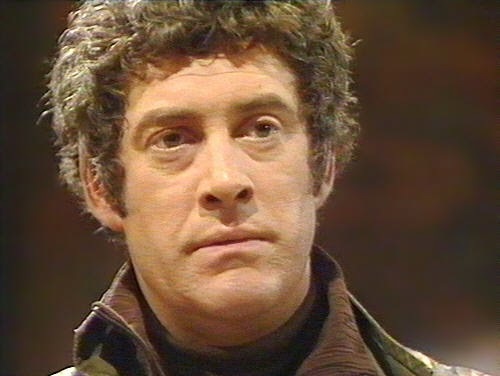 With good reason as it's Vila that discovers that Tynus has informed the Federation of the Liberator's presence. He's also, not surprisingly, alarmed at the fact that a space plague has broken out on the base. Cally: Cally's telepathic abilities come to the fore again as she senses a presence on board the derelict space craft and stops Blake from going across there. This is one of the best episodes of the season thus far, written by Doctor Who veteran Robert Holmes. In his 'Who' work, Holmes was particularly well known for his strong characterisation and sharp dialogue, both of which are very much in evidence here. He was also well known for creating 'double acts' - putting two characters together who would work together and bounce off each other. Here we get too such parings - Avon and Vila and Blake and Doctor Bellfriar. This isn't the first Avon and Vila have worked together of course but it is the first time that an episode has really focused on them as a team and they work together well. The team of Blake and the genial Doctor Bellfriar also work well. 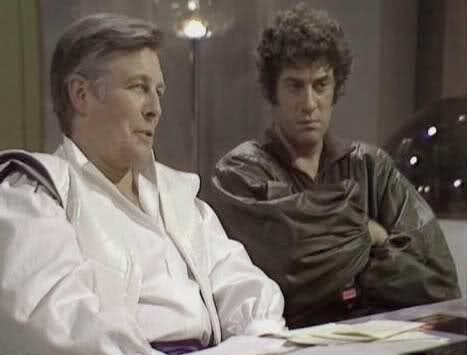 It's been well-established that Blake is an intelligent, well-schooled man and he seems to enjoy being in the company of another learned individual who isn't Avon. I could imagine him and Bellfriar having many a long chat about science and history over a cigar and nice glass of port. That is if Bellfirar didn't meet his end and the climax of the story. It's also nice to encounter members of the Federation who are just normal people doing their jobs. With the exception of Tynus, the inhabitants of the base of Fosforon have no political axe to grind, couldn't care less about who Blake is and aren't ambitious, corrupt or insane. We haven't had a character like that since Commander Leylan in episode 2. I really only have two criticisms of the episode. One is the use (or mis-use) of the female characters. Both Jenna and Cally are almost entirely absent from the episode (again) which is a great shame as both characters still have much to offer. The other criticism is more cosmetic as the costumes for the inhabitants of Fosforon as some of the most ridiculous seen on the series - which is, frankly, saying something. Next time: Hostage, an episode I remember virtually nothing about. I'm not sure if that's a good thing or not.